Dishonored was one of the most magnificent new IPs to be released in the 2010s, and four years later we get its much awaited sequel. Dishonored 2 was developed by Arkane Studios and published by Bethesda Softworks, just like the first game. It is also Arkane’s first sequel, with their past games (Arx Fatalis and Dark Messiah: Of Might and Magic) never getting one. 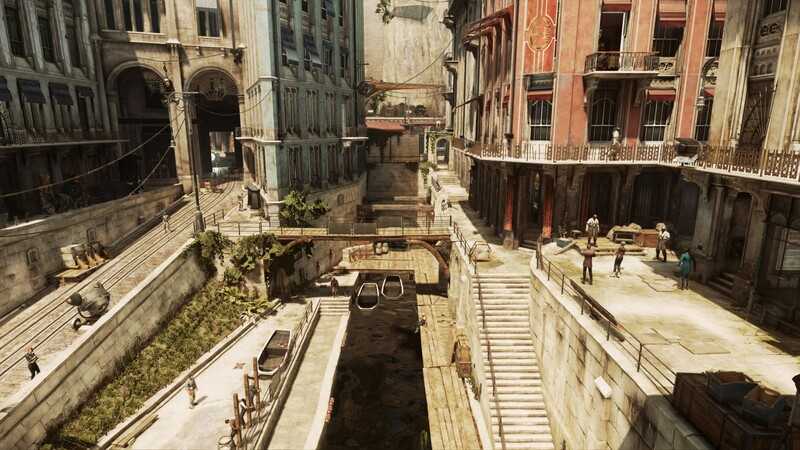 Dishonored 2, like the first, is a first-person stealth and action game granting freedom in gameplay approach. 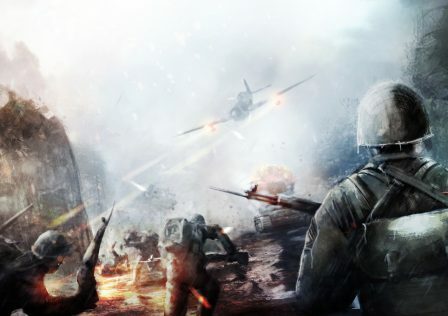 The entire game can be played without getting detected by hostiles and without engaging in combat, just like its predecessor. It is meant to be as good a stealth game as it is an action game, something only previously accomplished by its own predecessor as well as Deus Ex: Mankind Divided to our estimation. Dishonored 2 features two playable protagonists, something very rare in gaming these days but it’s a feature worth lots of hype. You may play as Corvo Attano, protagonist of the first game, or his daughter Emily Kaldwin, who is the reigning Empress. Note that it was never actually confirmed in the first game that Emily is Corvo’s daughter, only strongly suggested, but Dishonored 2 pre-release footage and information freely announced it since it’s not a surprise to anyone who has played the first. Let’s move on and see if Dishonored 2 lives up to its hype and potential. The review continues on the next page. 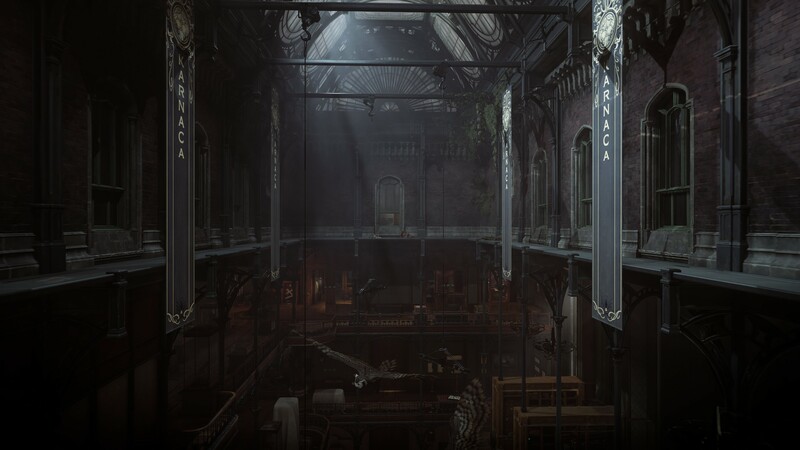 Dishonored 2 is a unique type of fantasy game with some Steampunk inspiration, like its predecessor. They resemble no other game world in an artistic sense. Being this unique is already an accomplishment. The technology seen throughout the world often resembles the 1800s, yet many other pieces are far more advanced. Whale oil is the backbone behind the most advanced technology in the game, a very potent power source. 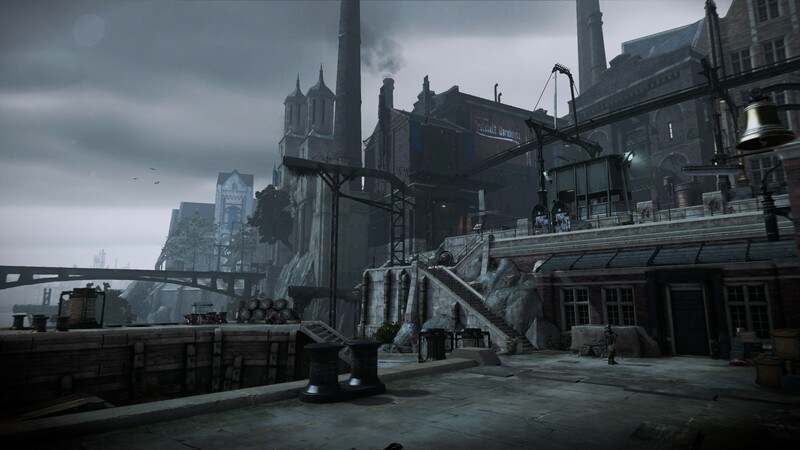 The lore of Dishonored was highly praised for its depth and originality. 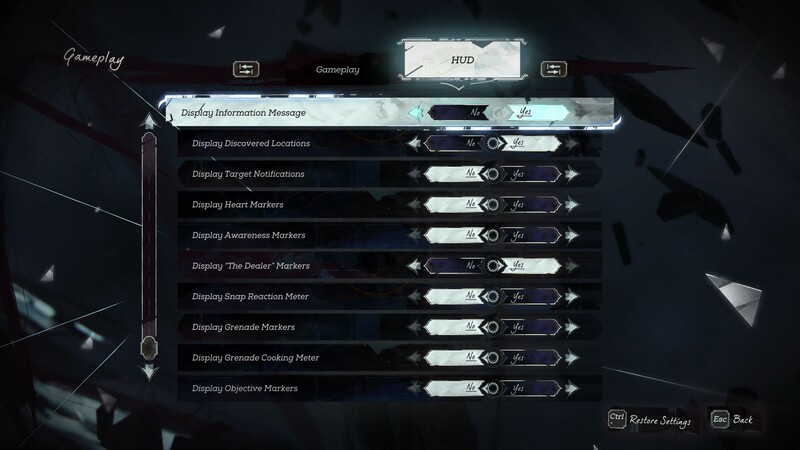 Much of that same greatness is seen in Dishonored 2 albeit to a lesser extent, as it seems to have less readable texts, or more specifically it reuses its own texts far more than the first. Playing Dishonored as well as its two expansions, The Knife of Dunwall and Brigmore Witches, is an absolute necessity. The plot is a direct continuation of all three, and the main characters are born in them. The fates of most of Dishonored’s characters are revealed in this one, although the game makes no mention of Piero Joplin and doesn’t say nearly enough about Callista given how close she was with Emily. The trailers for Dishonored 2 reveal the backbone of the plot: Emily Kaldwin is grown up now and is the reigning Empress. Her father, Corvo Attano (protagonist of the first game), is the Royal Protector. 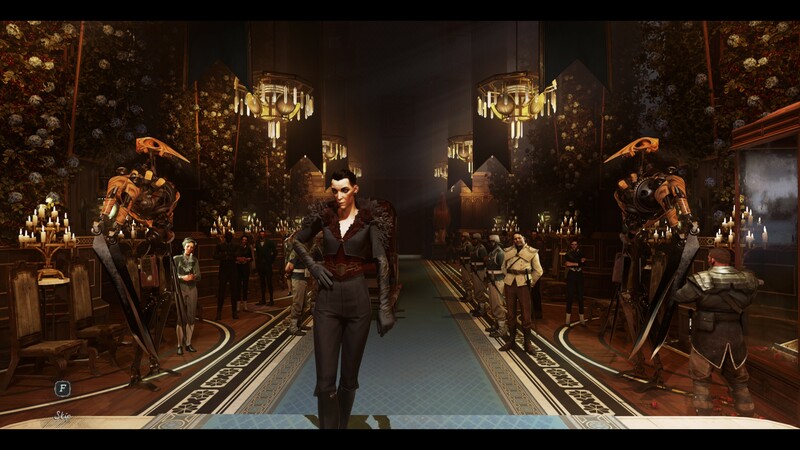 A witch named Delilah (the antagonist of Dishonored: Brigmore Witches) manages to steal the throne from Emily and separate her from her father. During Delilah’s coup, you are forced to choose your protagonist. Emily or Corvo. 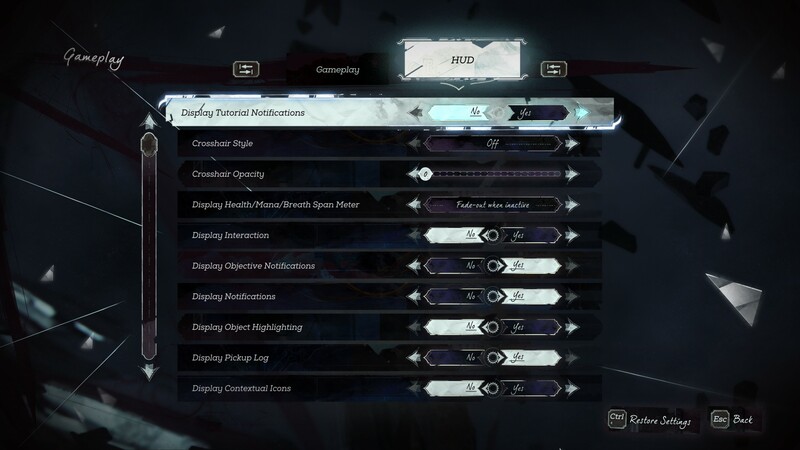 Both have unique gameplay powers (essentially spells) although you can choose not to not accept the gift/mark of the Outsider, a mysterious otherworldly entity. Yes, even as Corvo who was already given the mark in the first game. 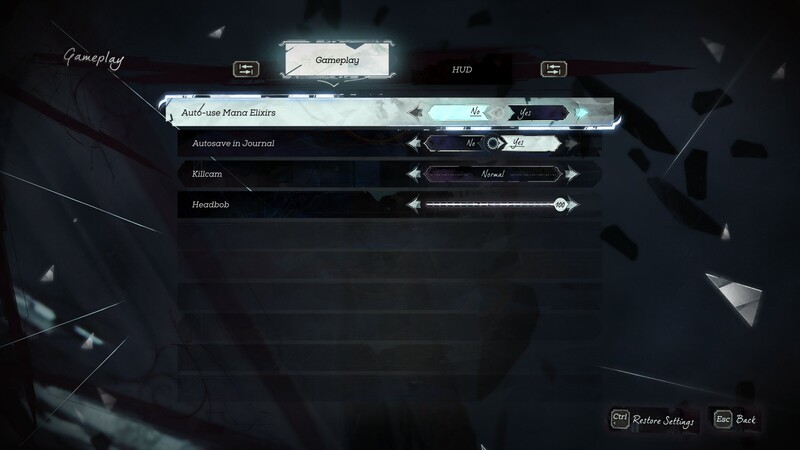 Denying the mark (or requesting it be removed as Corvo) leaves you with no special powers whatsoever, a gameplay style that a few may prefer. Dialogue changes based on your protagonist choice are exactly what is expected, but the game doesn’t change much at all. The same events occur and that’s fine, it makes sense. Once again, Dishonored 2 responds to how many people you kill. 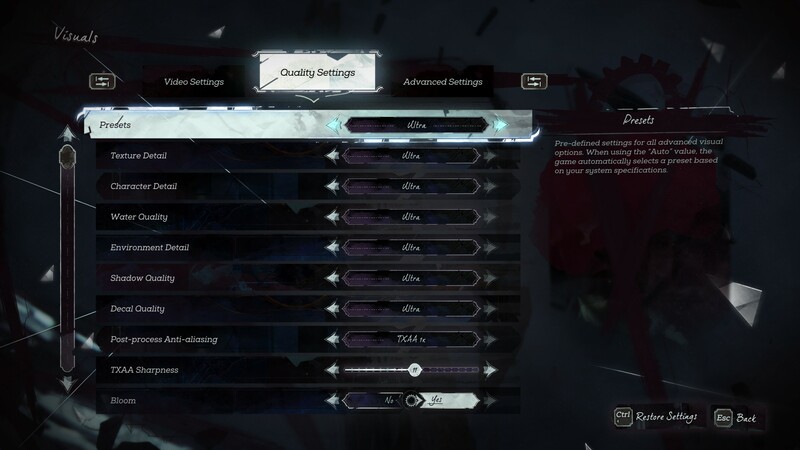 Killing above a certain amount of people in a mission will result in you receiving a “High Chaos” rating for that mission, which contributes to your overall chaos rating which is again either high or low. High chaos results in a more cynical ending as well as more severe Bloodfly infestations around Karnaca, the primary location of the game, a different country entirely seemingly modeled after Spain to some degree. On that note, according to Dishonored 2 and its developers, a mix of low chaos and high chaos results from Dishonored are canon. 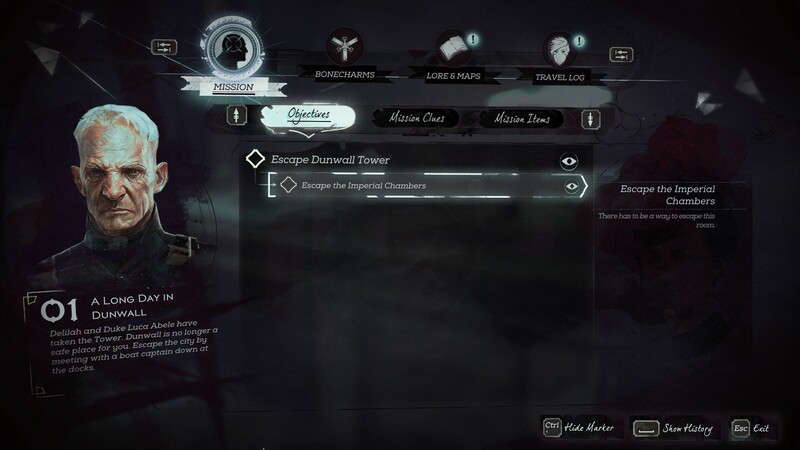 One of the three post-mission screens showing your progress. Killing humans, even ones with the latest stage of Bloodfly infection, is tallied here and counts toward your chaos rating. Killing non-human creatures and destroying non-living creatures has no effect. Spoilers on this page begin here. Your chosen protagonist is captured during the coup, and kept in… a room with open windows? It’s a temporary cell so they say, but still that’s quite stupid. Needless to say, to escape you simply open one of the windows and walk across the ledge outside. 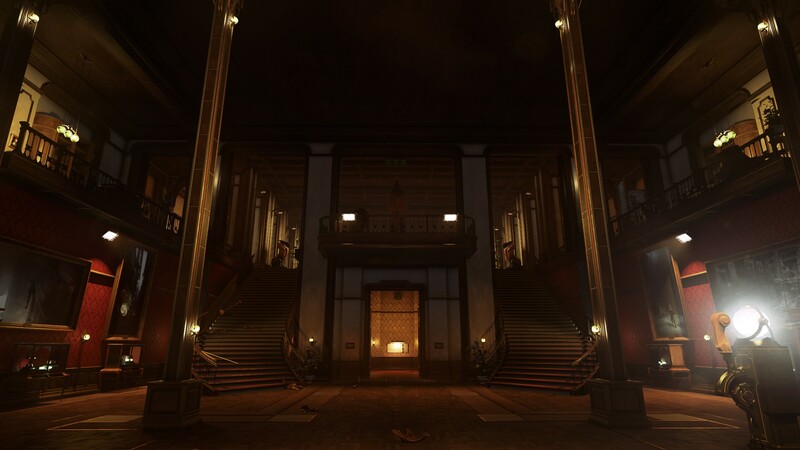 The first mission is thus set in Dunwall, as the coup occurs right in Dunwall Tower’s throne room. 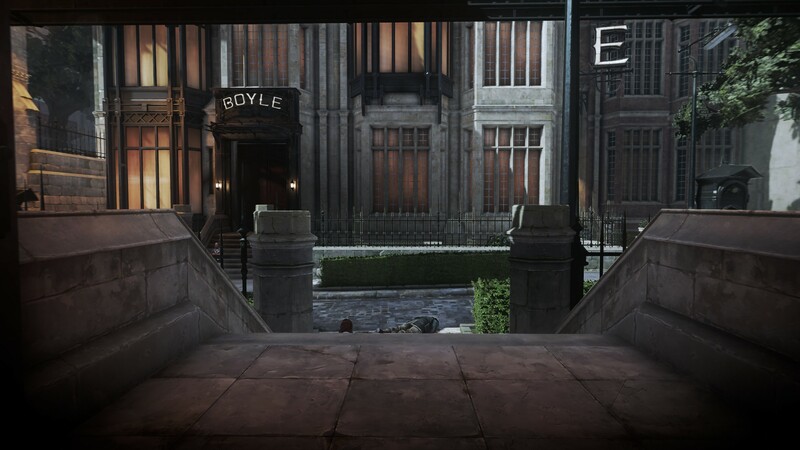 It’s a remade version of the Dunwall exterior map seen in Dishonored. The area is different and it’s nice to see how things have changed. After this, the entire game save for the very last mission is set in Karnaca. On the last mission you return to Dunwall. Throughout Dishonored 2, you generally pursue less clear leads than in the first. In the first game, you are surrounded by powerful people with political influence, but that is not the case this time around. Dishonored had a hub in a town centered around the Hounds Pit Pub, with memorable characters. 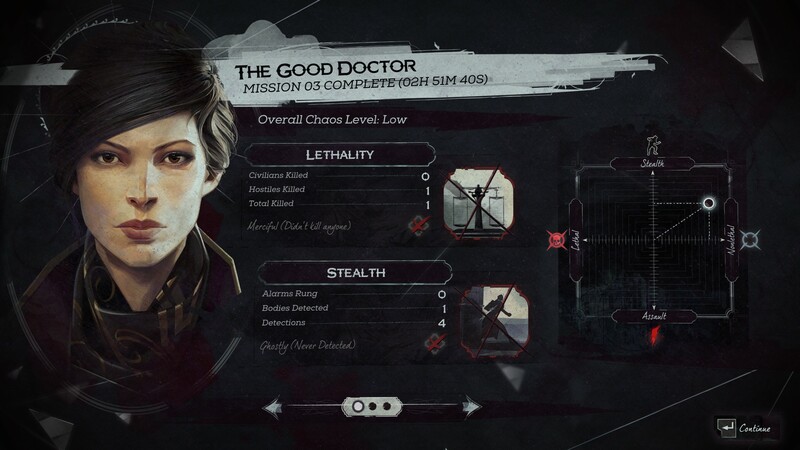 It was as if you really knew your target when pursuing them in Dishonored, the exposition was solid. In Dishonored 2, your hub is a ship out at sea called the Dreadful Wale. But for some reason, the ship has no crew, only a captain? Throughout the game there are no more than three characters on the ship other than yourself, although for most of the game it’s only two others. Character development is somewhat of an afterthought for two of them, and not even a thought for the third. Dishonored 2 relies on the first game for character development, it seems to think because the first game did a pretty good job with Sokolov that they can take it easy in this one. 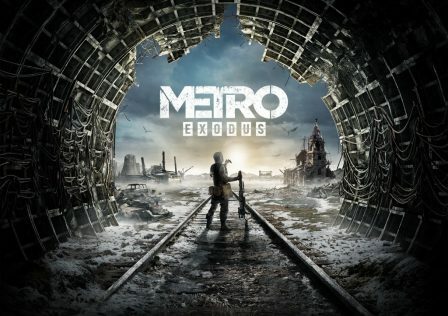 All around character development and dialogue are lacking, while the first game was quite strong by video game standards in both regards. What’s worse is the exposition. It seems so rushed for every character and for many of the plot events. 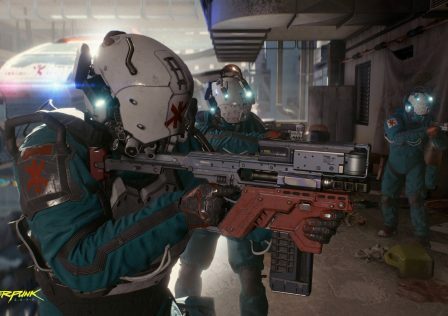 The goal of most missions, at least at the start, is to find a specific person and either kill them or eliminate them in a non-lethal way, while picking up important information or leads. Often times, at the start of a mission I ask myself, “Who am I going after again?” While in the first game, I felt Corvo’s burning hate for every single enemy target. The characters and overall story just seem rushed in Dishonored 2, and it is unfortunate. Not enough characters, no memorable dialogue, hardly any character development, not nearly enough exposition. Boat rides are used to start almost every mission. Even the more subtle details are… less detailed and rushed again. Many readable texts can be found throughout the game but there aren’t as many unique ones as the first game, so expect repetition here. One item in the game is Empress Jessamine’s heart, which was also present in the first game. Equipping it reveals runes and bone charms through walls, and using it will cause Jessamine to say something. When looking at an NPC, she will reveal a secret about that person. She has far less general remarks (that is, when not pointing at an NPC) than in the first game. Factions within the game’s story are not explored deep enough at all; these factions include the Overseers and the Howler gang (nothing at all is done with them). A plot device in this game called The Oraculum, a magical machine that’s meant to be very powerful and important, is only really discussed in one mission. It is never properly given the spotlight, it seems thrown into the plot at the last minute. Another plot point is a mysterious disease that turns someone into a superhuman killing machine, and of course a cure for this was nearly completed by someone who died just before he could finish the job. And, of course you arrive and can finish the cure if you choose to. Once this mission is over, said disease disappears from the story entirely. Again it seems rushed and painfully generic. Even Delilah, the main antagonist, has so little exposition and even less character development. At the end of the game we are shown what her real motives are, her grand vision, and it’s just head-scratching in an absurd way. 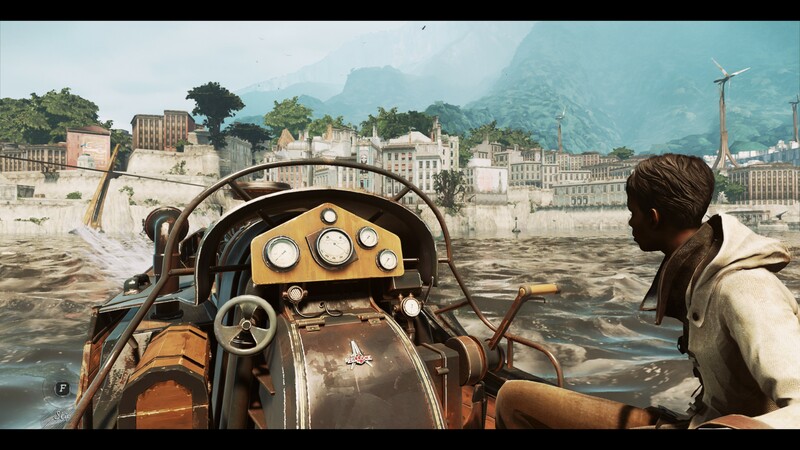 It is a shame that from a writing perspective, Dishonored 2 is mediocrity next to the first. 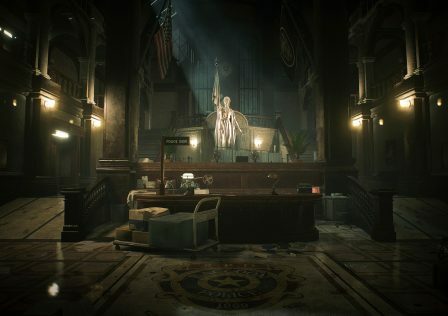 Neither game is meant to have a deeply involving story, they are supposed to be fun games with a unique style and an impressive world. Still, both the lethal and non-lethal methods for eliminating the game’s antagonists are clever and satisfying. The game still has a few emotional moments even if it doesn’t seem like it would at first. Let’s go to the next page and see if Dishonored 2 can redeem itself with its gameplay. 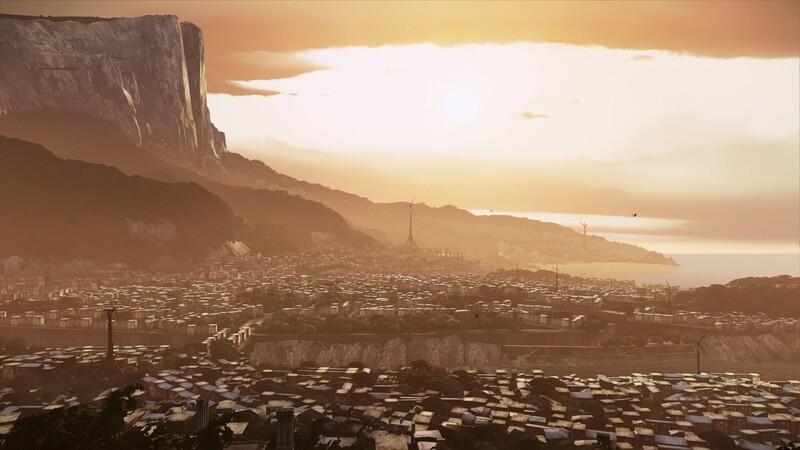 Dishonored 2 is a large scale sandbox first-person stealth and action game. Explore and interact with the environment, approach objectives however you want, tackle objectives however you want. Use stealth and be like a ghost and never get detected by anyone, using non-lethal takedowns, weaponry, and powers to your advantage if need be. Or you can play as an assassin, striking from the shadows. Maybe you’d rather use a direct approach? All of them are equally feasible in Dishonored 2, just like in the first game. You can deny the gift of magical powers, leaving you with a somewhat more realistic game, but realism is never a goal for the Dishonored games. It knows it’s a video game and uses it to its advantage. Some suspension of disbelief is required (more than in some other games), such as how some people are scripted to be performing some task, like calibrating a harp, and they never stop performing said task. Or how picking up valuable objects instantly gives you money. They didn’t want to include a general inventory and selling mechanics, as it’d disrupt the pace and doesn’t belong here. 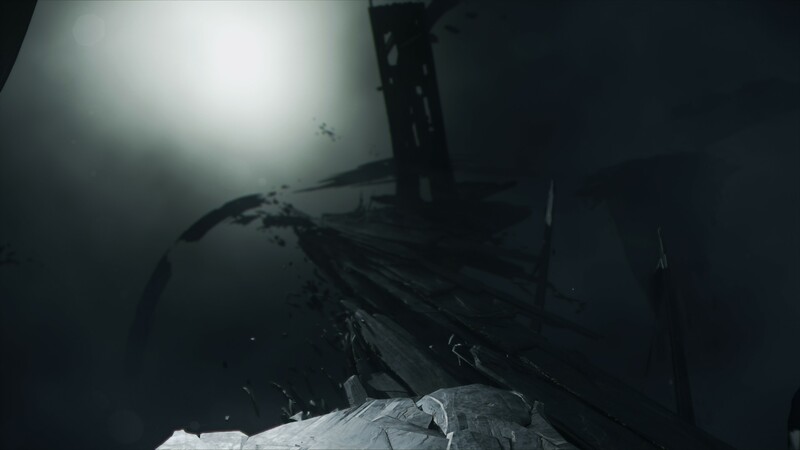 The Void, a mysterious world inhabited by The Outsider, who may remind players of G-Man. More is learned of him in this game. 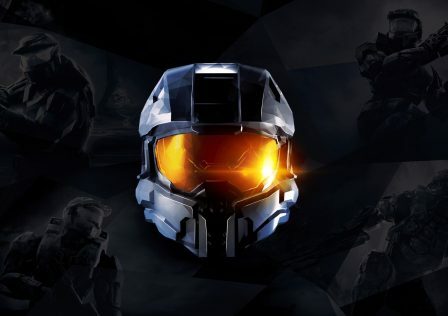 It is a sandbox game, which means it has large and very open levels but linear plot progression and no backtracking beyond the current mission. The levels are very large, even larger than Dishonored on average, and they are more open as well which says a lot given the fact that Dishonored is one of the most open, unrestricted non-open world games ever made. There are too many ways to count how to advance through levels and approach objectives. Sure, maybe one specific place within a level has only one or two or three ways to advance, but most of every level has so many. More than Dishonored thus more than almost everything else. It’s also clear that the developers tried to include as few loading screens as possible. 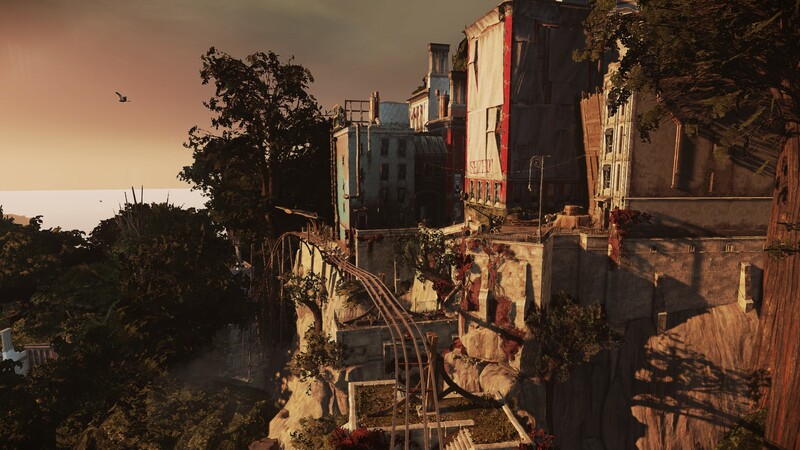 For these reasons combined with the unique quirks on each mission and the amazing level design, the mission design of Dishonored 2 is as good as it gets for an action game. My mission length was typically between 4-5 hours with earlier missions being closer to 3. This was with a stealth playthrough; an assault playthrough would be faster. This is the biggest downside to level design really. I did find one location that didn’t make a whole lot of sense; an apartment with its entrance completely sealed off, yet two normal women occupied it. The only way to enter/exit would be through the window but it was high up, superior athletic ability would be required to reach it. Not a place for your average pair of civilians. Furthermore its environments, including the graffiti/propaganda, seem a bit more repetitive than the first, but nothing truly offensive can be found in this regard. The world is interactive. Object interaction is present, but not quite as much as we’d like but thankfully bodies can be carried like in the first game. 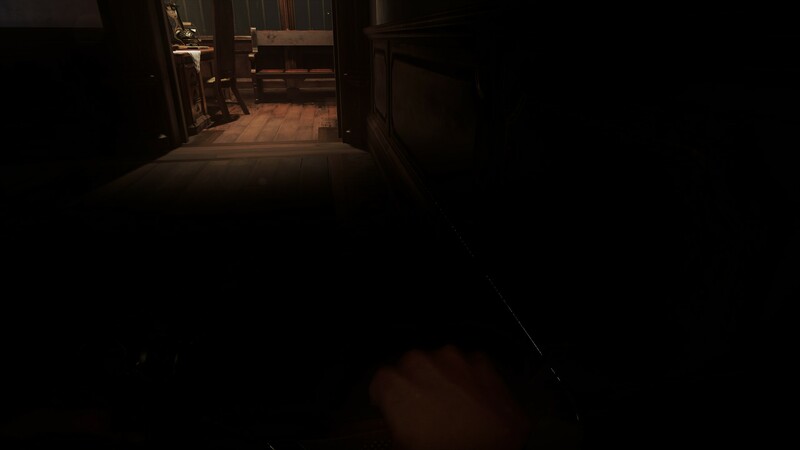 You can put out candles but virtually no other light source can be extinguished, a severe drawback for a stealth game. 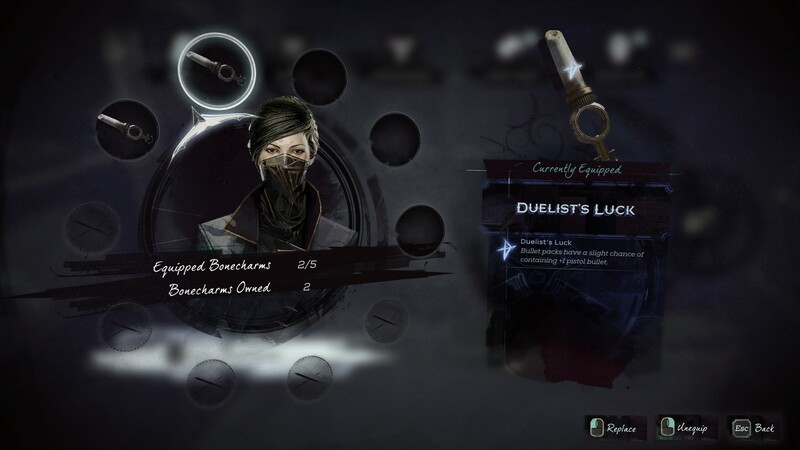 Each protagonist, Corvo and Emily, have five unique powers if you choose to accept the Outsider’s mark. 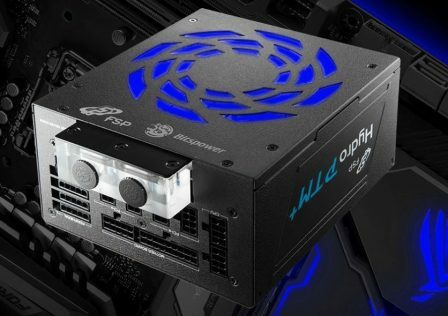 An additional power is available to both, called Dark Vision which by default highlights living creatures through any solid material. All powers, as well as the six Enhancements available to both protagonists, can be upgraded. Powers and Enhancements are upgraded with Runes, which are found throughout the game world. Bone charms can also be found, which are worn items granting special properties (either benefits or both a benefit and a drawback). The amount of bone charms you can wear can be upgraded, as can your carrying capacity, and your magnifying lens. These upgrades are done at black market shops. A currency system (coins) is present for buying and upgrading at black market shops. Coins can be found around the game world, and valuable objects when picked up are instantly turned into coins as mentioned earlier. Some loot is hidden in safes, which can only be unlocked with the correct code which seems to be generated differently for every playthrough. Since they’re only 3 digits, it’s easy to try all combinations and eventually get the right one. But the codes can always be found somewhere. Like the first game, Dishonored 2 is one of the most fluid and responsive action games ever made. The movement is wonderful. Even though both Dishonored games are built on entirely different engines, they managed a very similar but even better feel. The improvements are most noticeable in melee combat which is a bit more responsive in Dishonored 2. However, one odd change stands out. Leaning in Dishonored 2 (at least it has leaning, which is extremely rare nowadays) is toggled, not held. I don’t think most people will prefer toggle lean, although movement cancels leaning which is good. Surprisingly, a lean forward ability (Alt+W by default) is included, something I’ve only ever seen in the classic Thief games. It is useful for peeking over objects. Crouch is toggled, and is surprisingly laggy. There is a considerable delay between pressing the crouch key and actually crouching. Not ideal for any game let alone an action game like this. 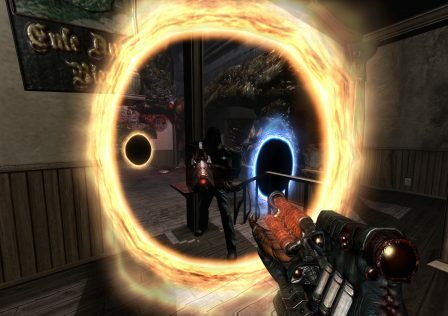 Arkane Studios raised first person melee combat to new heights with Dark Messiah: Of Might and Magic back in 2006. Mechanically, that game is still #1, although it is clunky by today’s standards as there are strange delays between mechanics and such. Dishonored 2 wins in fluidity, but has less use of physics in combat, and is a bit less advanced. Primary sword attacks in Dishonored 2 include a basic swing (press LMB) and a power attack (hold LMB). There is also the drop assassination, in which you drop down on top of an enemy and instantly kill them, but there is a non-lethal version of this too (for non-lethal, press CTRL instead of LMB by default). Blocking is present and timing it perfectly results in a parry that throws the enemy off balance. When an enemy is thrown off balance, you can immediately follow up with a death blow, or you can grab a hold of the enemy and spin them around and apply a chokehold. When choking such an enemy, it is the same state as choking them from behind. You can choke them until they pass out, at which point you can let them fall to the ground or carry them, or you can push the enemy forward (useful when enemies are in front of you). But there is a problem here. When choking an enemy and shielding yourself with him/her (which is always the position when choking someone), that enemy’s allies never care about his/her well being. They always kill him/her to get to you, regardless of faction. This is just lazy AI programming, using one behavior for all when it shouldn’t be the case. Your sword is a one handed weapon, thus your other (left) hand is free. In your left hand you may equip a crossbow (sometimes fired bolts can be reclaimed if they don’t break, as they have a random chance of breaking after being fired), pistol, powers, grenades and mines, and some specialty items. By default, LMB controls sword attacks while RMB controls your left hand. Block is assigned to CTRL by default but of course it can be configured. You can jump and climb any ledge, just like its predecessor. No overly limited contextual garbage here, true freedom of movement. But right now a few ledges are glitchy and have issues when climbing them. You can peek through door locks, and of course doors open both ways again. There is no lockpicking, which makes sense since you aren’t a thief. 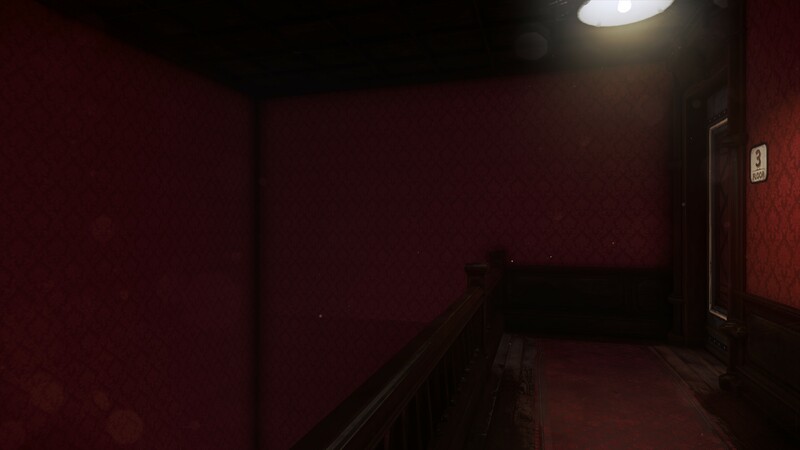 Once again there is no first-person mesh or even first-person shadow, which is disappointing. “Dark Vision” power, the only one shared by both Corvo and Emily. As for the magical powers, they are all incredible. I highly suggest using them. Corvo has abilities useful for both stealth and combat, while another is mostly geared toward stealth and another is only useful for combat. 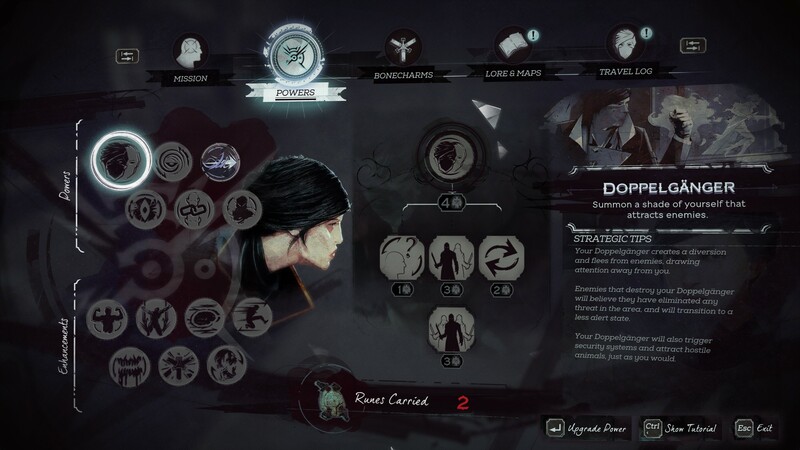 All of Corvo’s powers are the same as in Dishonored but have some new upgrades. Emily is more of a stealth specialist, but most of her powers can be very deadly as well. The AI is glitchy right now and has navigation issues, but improved over the first game when properly functioning. Their movements are more dynamic usually, enemies don’t always walk the same paths. AI actually see out of their eyes, which is great. Sometimes people turn their head when walking and this can greatly impact stealth (visibility). Darkness helps conceal you, but it’s not as exaggerated as the classic Thief games or Metro: Last Light. Dishonored 2’s AI detection, at least on Hard mode, is less forgiving than most stealth games. Less forgiving than Deus Ex: Human Revolution, Deus Ex: Mankind Divided, and every Metal Gear Solid game for sure, but more forgiving than PAYDAY 2. Unconscious and dead bodies are detected by AI, but unconscious ones don’t always raise an alarm; sometimes when an unconscious body is discovered, the one who discovers it gets angry at the person for napping. 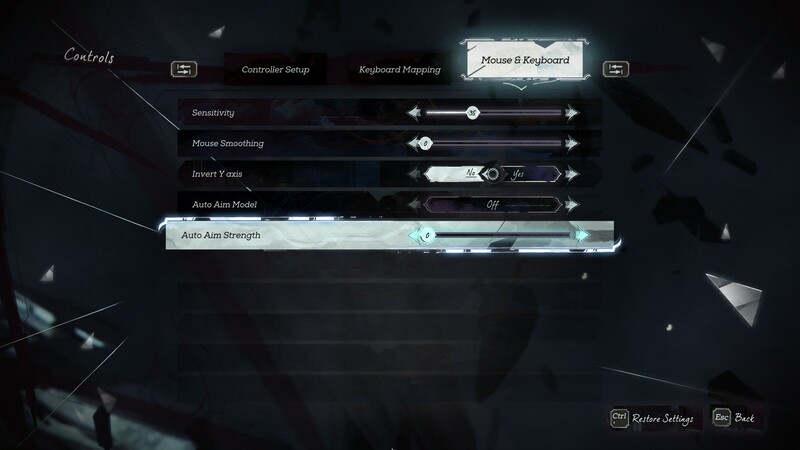 Dishonored 2 provides a lovely amount of HUD customization and input options (including the ability to disable mouse smoothing) just like its predecessor. This can strongly impact gameplay. You can see these options below. The UI is very similar to the first game. 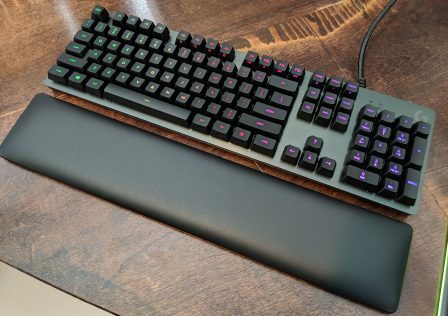 It’s clear and functional, never confusing. Examples can be seen earlier on this page. Missions are tracked like most other games with a history filter to show completed ones, and the ability to show/hide objective markers (although if you turned it off in HUD options which we recommend, they never show). Mission Clues exist to help guide players along. Lore & Maps shows picked up documents and maps. Travel Log is a narrative aspect in which the protagonist summarizes his/her journey and discusses his/her feelings on everything that happens in the story. These are created automatically, and for some reason, on the Dreadful Wale you can write in your journal which just duplicates the last entry. An incomplete mechanic perhaps? Aside from AI navigation glitches and some clipping issues, our primary gameplay complaint is the inability to destroy most light sources, most of which are dynamic even. 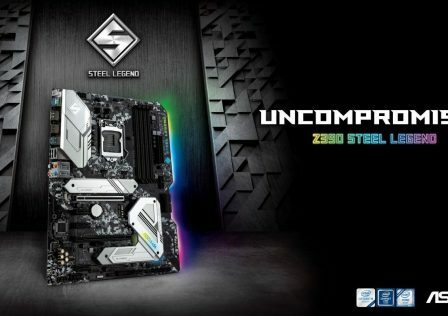 This limits its stealth somewhat. But the first game had the same problem. In terms of gameplay, Dishonored 2 is a universal improvement over the first and both are easily among the top 5 best action games ever, and top 4 stealth games (of this type of stealth subgenre that is). It is as great an action game as it is a stealth game, something only accomplished by its predecessor and Deus Ex: Mankind Divided to our estimation. 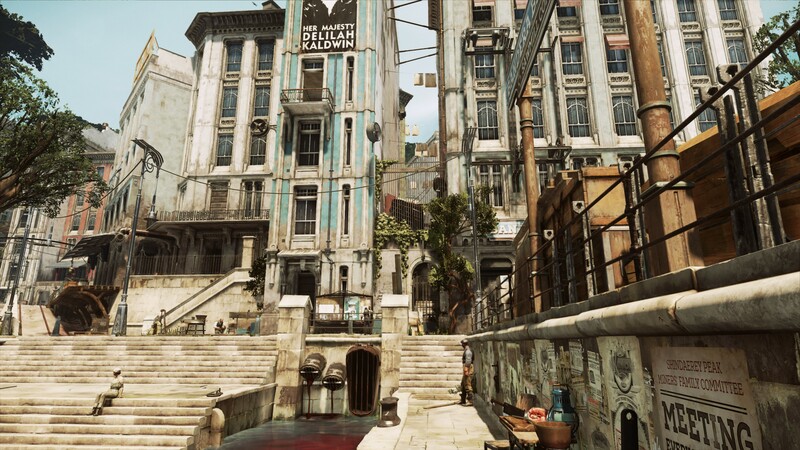 Dishonored 2 uses “Void Engine” which is a modified version of id Tech 5. Not a good engine, and Dishonored 2 is the worst showing of it. It also uses DirectX 11, Havok and Wwise. One performance aspect stands out immediately; the initial loading screen after launching the game (just loading the main menu) is incredibly long, right around one minute for me, but then it is followed by about 25 seconds of splash screens that cannot be skipped, and then another very quick loading screen, so all in all it takes me right around 90 seconds to get to the main menu. Loading saves is very quick. Graphics configuration is excellent. 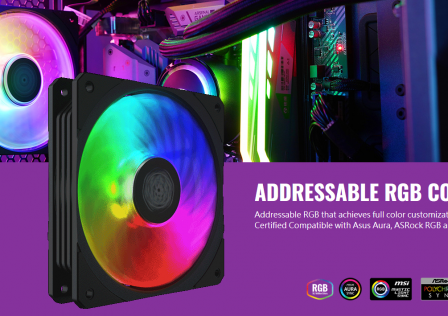 Adaptive resolution is a new trend and it is customizable here. Another new trend (or to be a trend) is HDR, which this game lacks. 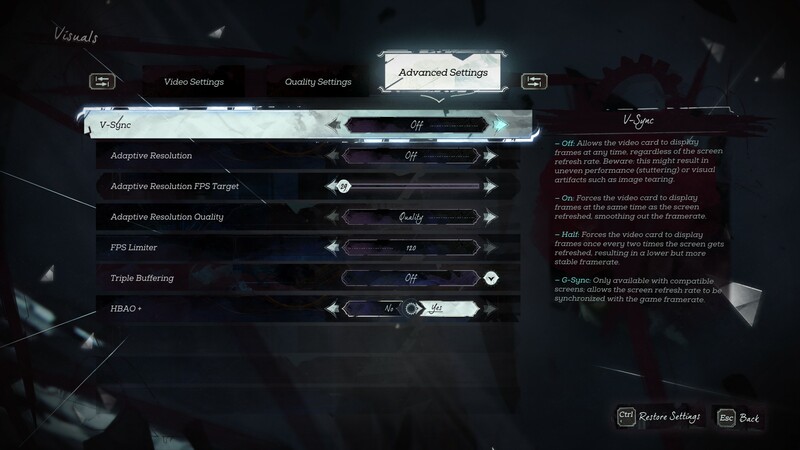 Thankfully triple buffering is included, which cuts down on input lag with V-Sync. A frame rate limiter is present and has a maximum limit of 120 FPS because physics are glitchy beyond that. Sadly, the FPS limiter is in increments of 60, and can’t be used with V-Sync. 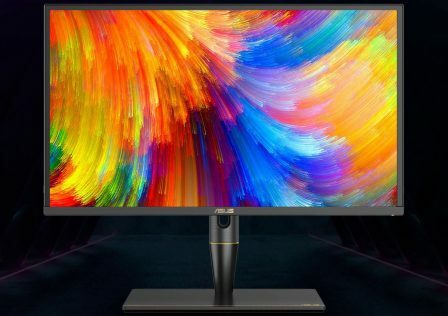 We really need increments of 1, so that people can cap the frame rate to just below the refresh rate value, reducing input lag when using V-Sync or in the case of variable refresh rate, preventing V-Sync from taking over thus avoiding lag. Like its predecessor, it goes for a unique “painted” art style. You see it on all the models, everything does look painted, and it results in a stunningly beautiful art design and gorgeous visuals… when graphics glitches don’t interfere. Shadow glitches, texture flickering, ambient occlusion glowing. Personally, these graphics glitches were the biggest flaws of the game to me. Severe ambient occlusion glowing along the spiked fence, courtesy of NVIDIA HBAO+. The amount of ambient occlusion glowing/bleeding is particularly funny because NVIDIA users can force NVIDIA HBAO+ into the first game via drivers with no consequence. They use entirely different engines of course, but ambient occlusion should be better in the sequel, not worse. Anti-aliasing forms included are FXAA (low/high) and TXAA, with a TXAA sharpening setting as you can see above. Neither method is very effective, the game is visibly aliased at 2560 x 1440 on all settings, TXAA being the best obviously. No AA. And some people who game at sub-1440p claim that 1440p doesn’t need anti-aliasing? Pfft. Even 4k DSR at 27″ needs anti-aliasing. TXAA with 12 sharpness. By far the best. Large structures like the big pipes on the center building look mostly straight now. Still quite aliased though, and notice how the bars on the fence below the railroad have become very hard to see. 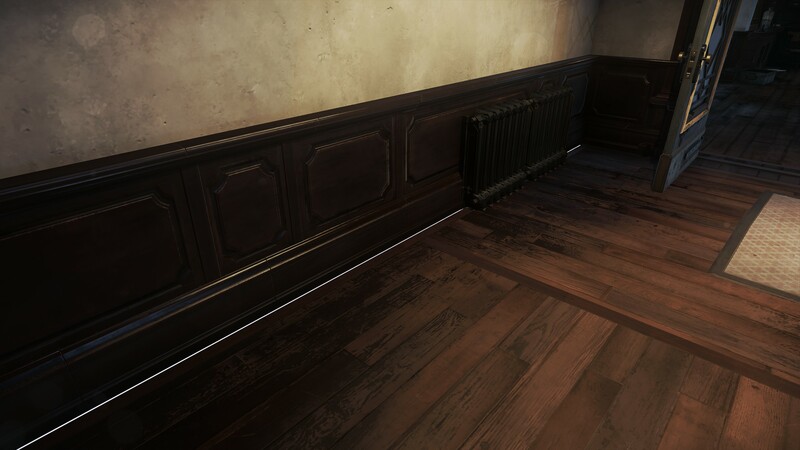 Dishonored 2 doesn’t have the object or texture quality of other games due to its unique painted art style, although it does make some attempts at providing authentic looking materials. The lighting and shadows are very nice, the latter often appearing well above average but shadow glitches and sometimes flickering off screen do occur. View distance within accessible terrain is very good, although in some places there is a lack of detail when looking across a great distance at inaccessible terrain. Character models are good but not amazing by 2016 AAA standards, and the same for animations. One annoying visual aspect is the overdone lens effects that are always forced on. It makes sense for Corvo since he wears a mask with glass lenses, but Emily is always looking through her own eyes and this is a first-person game. 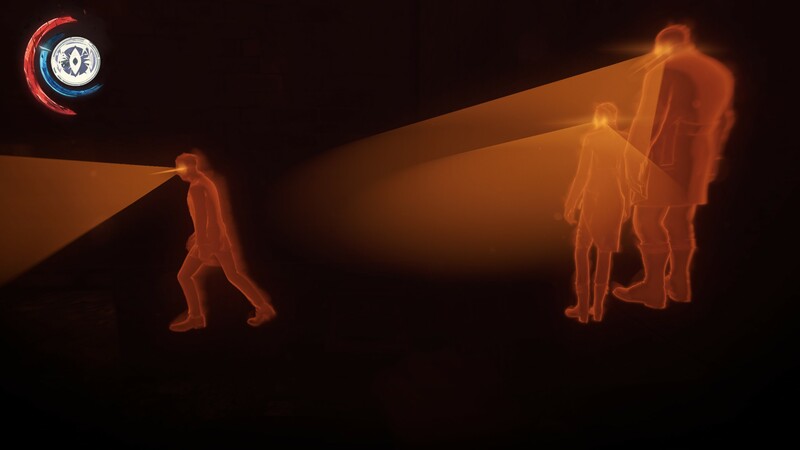 These effects are visible in the screenshot below. Performance tells another story. Beta patch 1.3 improves it drastically, but it’s still all over the place and consists of constant frame pacing issues that are impossible to escape from. The frame pacing issues are less severe with beta patch 1.3 (and 1.2 improved upon it too), but they’re still present. As a result of this issue, 60 FPS in this game for example is less smooth than 60 FPS in another game. The same applies to all frame rates and G-SYNC doesn’t remedy the issue. 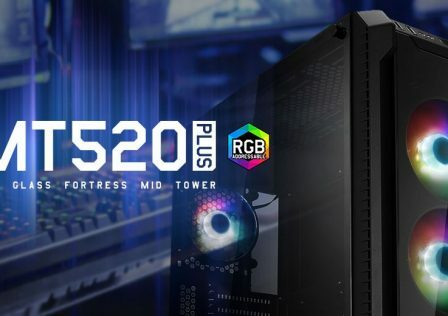 With an i7 6700k @ 4.6 GHz, 16GB DDR4 3000 MHz RAM, and a GTX 1080 running at 2000 Mhz usually, at 2560 x 1440 my frame rate is typically between 75-100 outdoors but it jumps up to 120 in some places. Indoors it is usually 65-90, worse than outdoors for some reason (seems to be caused by lighting reflections). 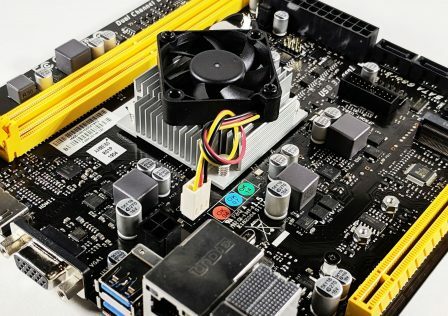 It is very inconsistent and given the game’s not-so-advanced graphics technology, there is no good reason for it to run below 120 FPS ever on such a system. I would much prefer Dishonored’s Unreal Engine 3 again, with the same visuals even since I can run that at 2560 x 1440 with 2x sparse grid supersampling and forced HBAO+ and never go below 120 FPS. A game like Dishonored and Dishonored 2 needs fluidity more than any other. Funny thing is, another game that is in such need of fluidity and smoothness is this year’s Shadow Warrior 2, which also has frame pacing issues. I personally have trouble tolerating anything less than 120 FPS with blur reduction (backlight strobing) enabled in games like these. 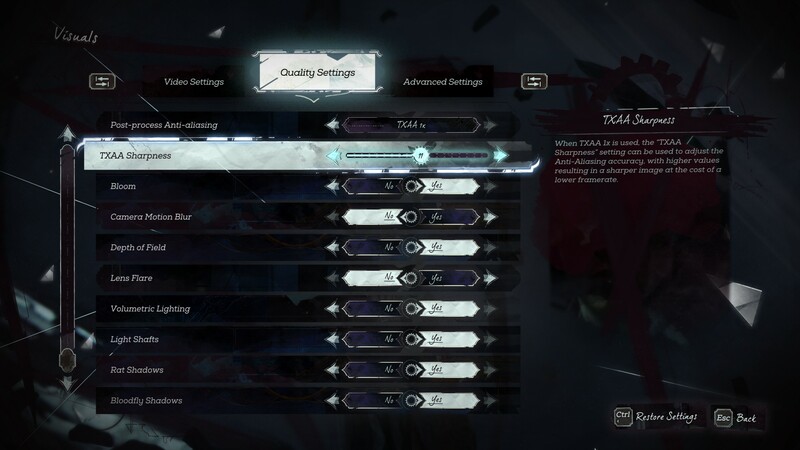 Dishonored 2 tends to use 6.5 – 7.5 GB VRAM on my PC, and allocates up to over 10.5 GB RAM. Audio glitches exist too. On stereo and 2.1 systems, for many NPCs in Karnaca, turning so that they’re off screen causes the sound of their voices to disappear. In other words, even in stereo/2.1 mode (taking from Windows, it has no direct setting for this), the game will output some sound to (in this case) non-existent surround channels. I’ve even encountered voices disappearing off screen on my 5.1 surround setup. I can’t really explain that one. 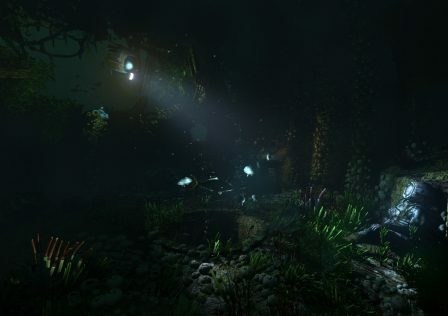 The sound also uses some auto focusing to emphasize the protagonist voice over everything else, and sometimes other voices over everything else too, dimming the environment, but this effect can also be glitchy. Glitches aside, sound quality is good but not great. It has little in the way of replicating distant sounds, and surround panning isn’t as natural or seamless as other games. The voice acting is surprisingly not very good. Random NPC voice acting is at times awful (“Hey, what’s that noise? ?”) and Corvo’s voice actor isn’t exactly on point. The soundtrack is very good at least, with some tracks from the first game reappearing in Dunwall. The game isn’t excessive with its use of music, it mostly uses wonderful, subtle ambient tracks. Dishonored 2 seemed very promising leading up to its release. The first game was so good, Arkane was on such a roll. The showing at E3 raised hype levels even more as the inclusion of two separate protagonists was revealed. Despite this, Dishonored 2 is not a perfect sequel. 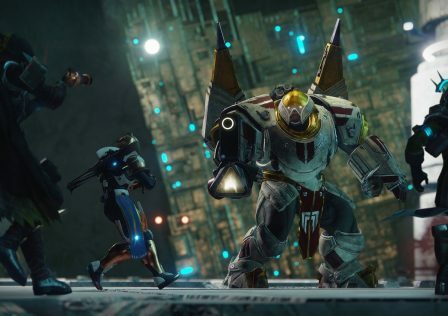 Its biggest flaws are technical; performance far below where it has any right to be, frame pacing issues, graphics glitches, sound glitches, level design oversights. All the result of incompletion. I considered the game unplayable on day one due to forced mouse acceleration being proportional to frame rate. That is fixed at least. It makes me wonder if Bethesda Softworks forced Arkane to use id Tech 5. Either way, switching to id Tech 5 was a terrible idea. If a publisher is to enforce an engine upon its developing studios, at least make sure it’s a good and flexible one, like id Tech 6 perhaps. Since id Tech 6 wasn’t ready, Bethesda shouldn’t have intervened. Unreal Engine 4 would of course be ideal. Fun fact: This screenshot shows the worst performing area in the game. Technicalities aside, Dishonored 2 showcases incredible mission design with even more open endedness than the first. Art design is marvelous, living up to the standards set by its predecessor for the most part, although it may have less outdoor environmental diversity. Gameplay mechanics are slightly improved over the first game, which is perfect since the first one is so close to perfection already. 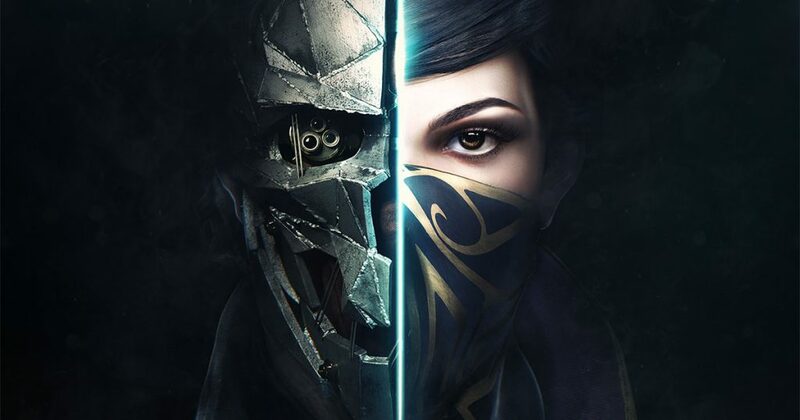 As a stealth game and action game, Dishonored 2 is equally proficient, a feat only accomplished by Dishonored and Deus Ex: Mankind Divided by our estimation. But the writing has taken a turn for the worse. Not nearly enough exposition for anyone or anything, not enough characters, rushed underused plot devices. We had hoped for three perfect sequels this year, and leading up to their release it looked like they’d deliver. Those sequels are Dishonored 2, Deus Ex: Mankind Divided, and XCOM 2. Of those three, only XCOM 2 can be seen as a perfect sequel. Nonetheless, Dishonored 2 is a worthy addition to the franchise and it’s amazingly fun no matter how you play it. Time to score the game. For a breakdown of our scoring system, read this. Dishonored 2 showcases incredible mission design with even more open endedness than the first.